The legends of Motown and disco return to the capital for another night of their greatest hits. After seeing the same show two years ago in the same venue (which I reviewed, and you can read here), I wasn’t sure there would be much to write about after seeing The Temptations, the Four Tops and Tavares again. But here we go. 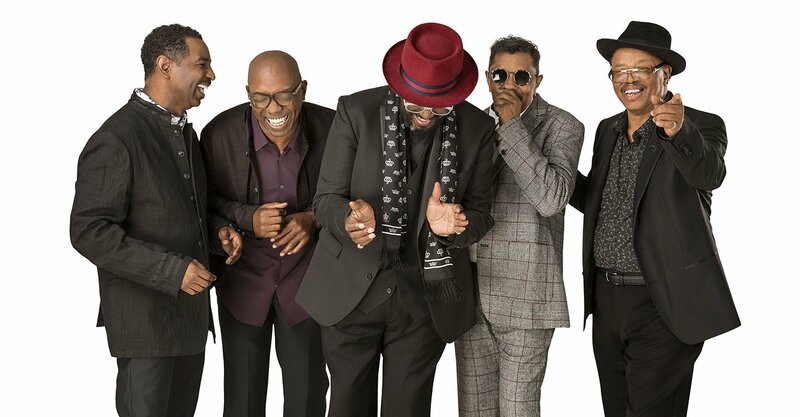 With just one original member in The Temptations and the Four Tops, many longtime fans of both groups question whether the two aren’t just elaborate tribute acts. But for the nearly 10,000 people packed into the lower bowl of The O2, it simply didn’t matter. The songs are what people have come to hear and, after nearly six decades, it’s unrealistic to expect everyone still to be alive and performing. Instead, we were treated to a nostalgic trip to the Motown era by some outstanding singers, honouring the legacy of two of soul’s greatest groups. Now, the Tavares have no worries about the legitimacy of their group. Formed originally of five brothers, the group is down to three today, Tiny, Butch and Ralph. Until recently, the group also featured Chubby Tavares, but a few months ago he suffered a heart attack. Thankfully, Chubby’s treatment has been going well. However, for the remaining Tavares on the road (their other brother Pooch has retired from performing and is, as Butch joked, “on the golf course”). With Chubby absent, most of the leads now fall to Tiny Tavares who appears to be relishing in his new role as the Tavares’ frontman. And he did an excellent job at The O2, handling the leads on their hits with ease and style. The group, backed by a pick-up band from the UK, were only allowed a 35 minute set, so the hits came hard and fast. Opening on a fast-paced rendition of ‘It Only Takes A Minute‘ the group sped through ‘She’s Gone‘, ‘Never Had A Love Like This Before‘, ‘Don’t Stop The Music‘, ‘Whodunit‘ and the ever-brilliant ‘More Than A Woman‘. Closing the set with a rousing version of “Heaven Must Be Missing An Angel”, the group left the stage – but not before Butch had finished dancing. Sometimes you wonder whether groups like this really want to be on the road in their later years. But for the Tavares, it’s clear they still enjoy their performances and relish the chance to perform to huge crowds in the UK. Up next were the Four Tops. Queue a 20 minute interval while the Four Tops rhythm section and 9-piece horn section set themselves up, before launching into an overture, featuring a snippet of their seventies hit ‘Are You Man Enough’. Duke Fakir is the last remaining Top. This year he turns 83, having spent the best part of six decades as one of the Four Tops. Earlier this year Duke suffered a broken hip, and for much of the year has taken to performing from a stool, allowing the newer Tops to take the lead. Thankfully, Duke appears to be recovering well, and spent more time on his feet dancing than is probably medically advisable for someone of his age, recovering from a serious injury. As much as Duke clearly enjoys still performing, I was struck with sadness by the dedication at the beginning of Tops’ set to the originals who have died, Duke’s friends Lawrence Payton Sr, Renaldo “Obie” Benson and Levi Stubbs. Every Four Tops’ show is dedicated to their memories, but this time there was something bittersweet about seeing a frail Duke perform their greatest hits without his friends. Yet, the Tops’ 50 minute set was nonetheless enjoyable as ever. The new line up consists of Lawrence Payton Jr, Ronnie McNeir and lead singer Harold ‘Spike’ Bonhart (he replaced former lead singer Theo Peoples in 2011). The group sound great, and perform the Four Tops classics with style. Spike Bonhart has the unenviable task of filling the lead role perfected by Levi Stubbs, perhaps one of the greatest vocalists of all time. And for the most part Spike does well – he has found a line between simply mimicking Levi and finding his own voice, respecting his predecessor while forging his own path as the Four Tops’ lead singer. The Four Tops today: Ronnie McNeir, Lawrence Payton Jr, Abdul “Duke” Fakir and Harold “Spike” Bonhart (L-R). This being a greatest hits package, the favourites were all there. The show opened to a ferocious version of ‘Loco in Acapulco’, before launching into a breezy version of ‘Baby I Need Your Loving‘. Short on time, Duke rattled through some introductions, acknowledging that “they tell me I talk too much”. ‘It’s The Same Old Song’, ‘Bernadette’, and ‘Shake Me, Wake Me (When It’s Over)‘ follow in quick succession, each delivered superbly. However, perhaps oddly, the highlight of the set was a cover of the Bobby Darin classic ‘Mack The Knife’. It’s not clear why the Tops decided to put this in the set, but it did give the group a chance to show off their vocal harmonies, and each member was given a lead line or two to sing. Lawrence Jr, clearly a joker, did a hilarious impression of Louis Armstrong. This artistic interlude complete, the Tops returned to the hits. ‘When She Was My Girl‘ had the crowd back on their feet, and they stayed there while the Tops ran through their final songs, including a beautiful rendition of ‘Ain’t No Woman (Like The One I’ve Got)‘, a medley of ‘Reach Out, I’ll Be There‘ and ‘Standing In The Shadows of Love’, finishing with a rampant version of ‘I Can’t Help Myself‘. Looking pleased with their performance, Duke led his group offstage for what could be his final appearance in London. Duke has said on previous UK tours that he wasn’t sure how long he’d keep coming to the UK, but with him now finally showing his age, his really could be the last time the Four Tops appear in the UK. If Duke is showing his age, Otis Williams of The Temptations doesn’t appear to have aged in the last decade. He looks no different to when I first saw The Temptations at the Royal Albert Hall in 2007. Otis, like Duke, is the last surviving original member of The Temptations. Never one of the lead singers, he’s been the group’s only constant figure. Today the group consists of Ron Tyson (who joined in 1983), Terry Weeks (1997), Willie Green and Larry Braggs (both joined in 2016). 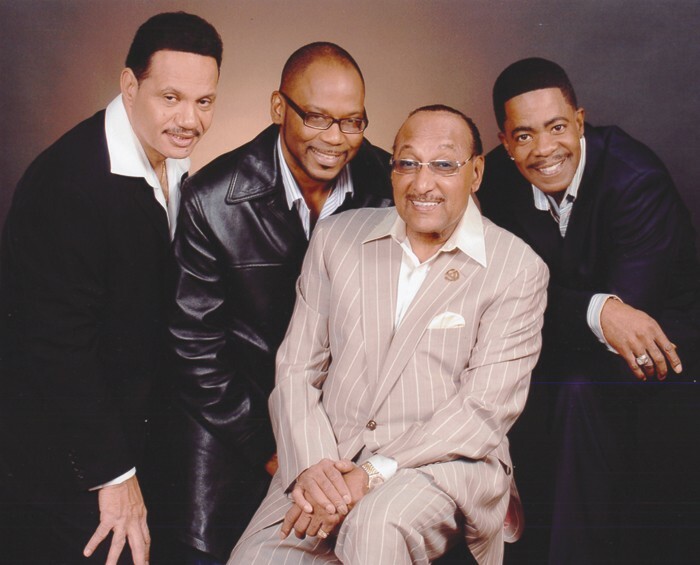 Now, as good as the Four Tops were, they relied more on nostalgia, letting the stature of their songs carrying the weight. The Temptations, however, didn’t leave anything to chance. This group of Temptations is surely one of the best in the past two decades. Their set was polished soul perfection, complete with their trademark moves and tight vocal arrangements. Introduced by their MC Billy Bannister, who managed to plug the group’s latest album All The Time (which you can read about here), The Temptations appeared one-by-one, dressed in purple trousers and tails, complete with waistcoats and bow ties. Billy Bannister had barely finished introducing the group when they launched into ‘Get Ready’, their 1966 hit written by Smokey Robinson. Then followed a medley of some-lesser well known songs, including ‘The Girl’s Alright With Me‘ and ‘Girl (Why You Wanna Make Me Blue)‘. Ron Tyson, a veteran Temptation, sang these leads. Ron is a wonderful singer and a great showman, and over the three decades he has made the role of The Temptations’ first tenor his own. Since the last time The Temptations were in the UK, it seems the show has been revamped slightly, and the vocals and moves tightened up even more. This time the set even included ‘Beauty’s Only Skin Deep’ giving Terry Weeks, one of my all-time favourite Temptations, a rare lead and impressed with his silky baritone. Again, this was a greatest hits show and with just an hour to fill, The Temptations stuck firmly to the favourites. A smooth rendition of ‘The Way You Do The Things You Do‘ led into a fiery version of ‘Ain’t Too Proud To Beg‘ with Larry Braggs on lead. Braggs, who previously sang with Tower of Power, is an impressive addition to The Temptations’ ranks. His range is impressive and his showmanship suits The Temptations perfectly. More hits followed: a powerful ‘Ball of Confusion’ here, a funky ‘I Can’t Get Next To You’, and a romantic ‘Just My Imagination (Running Away With Me)’ were impressive. A fast-paced run through of ‘Papa Was A Rolling Stone’ was a highlight, as was the fantastic ‘Treat Her Like A Lady’. With time running short, Willie Green, the group’s impressive new bassist, introduced “The Temptations’ national anthem”, ‘My Girl’. Cue a mass singalong. Sadly, and much to my disappointment there was no time to hear anything from The Temptations’ new album. But in a rare treat for UK audiences, we were treated to an absolute vocal masterclass for an encore as the group performed their version of ‘Silent Night’, a very early Christmas gift for the soul fan. Yet, clearly not yet in the Christmas spirit (or trying to avoid queuing for the Jubilee Line), many in the crowd left at this point. But for those of us who stayed it was yet another reminder of how impressive this line-up of The Temptations really is. Ron Tyson and Larry Braggs impressed the most, but Willie Green’s bass is a thing of wonder – he’s perhaps the best bass singer they’ve had since Melvin Franklin. And that was that: another night of classic soul from the masters of Motown. Will we get to see them perform in the UK again? We can but hope.